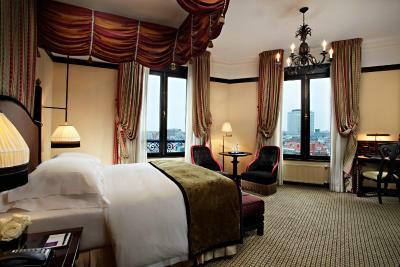 Lock in a great price for Hotel Des Indes The Hague – rated 9 by recent guests! 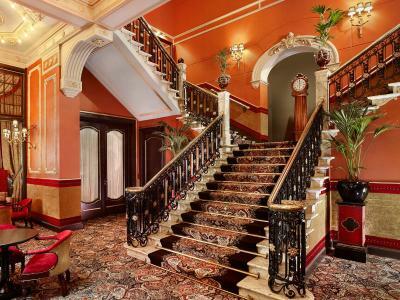 Very beautiful historical hotel in a lovely location close to museums, pubs and restaurants. Lovely staff and extremely helpful. Unfortunately we missed eating in the hotel as they were fully booked so cannot remark on their good services. The room and bathroom were superb! Lovely pillows and linens and big soaker tub. Great set up and decorum. 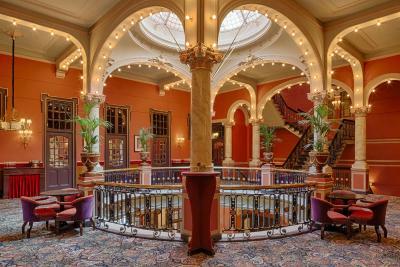 Very well preserved heritage hotel. The room was very spacious. The bed was very comfortable. Beautiful bathroom with a bathtub and a separate shower. Room size was surprisingly large. Great service. Great location. Location is great and the staff are very nice. It is a beautiful building. The atmosphere is unique. It is in many ways a unique place. The bed was wonderful, the room very clean. Staff very friendly, the atmosphere very good. 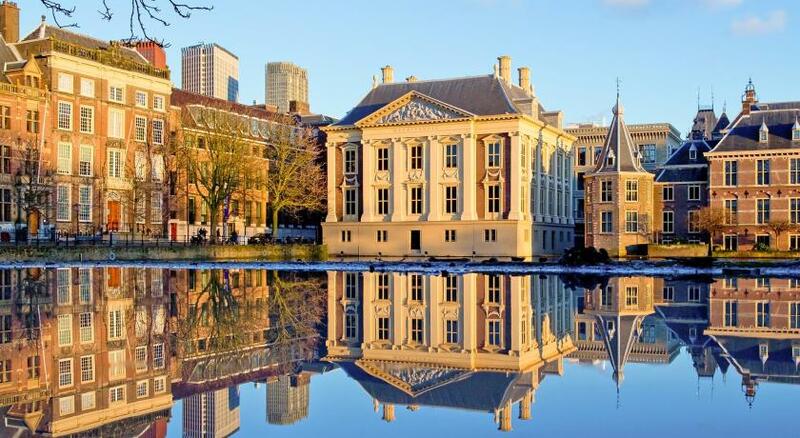 Beautiful buidling in the center of The Hague. Nice big room, very good bed, competent and friendly staff. 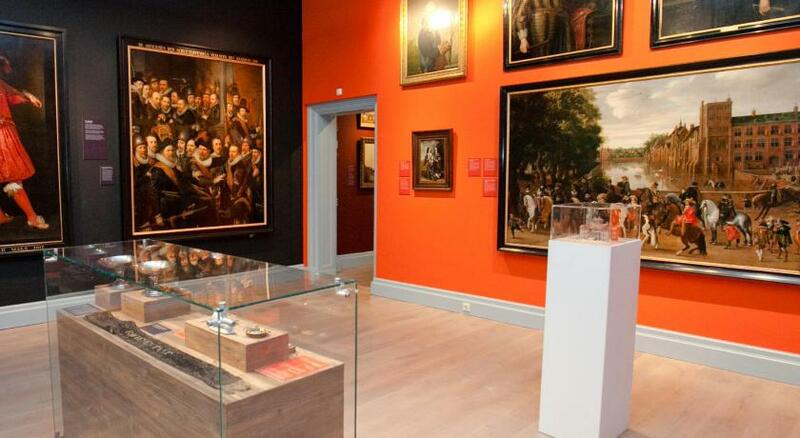 The antiques and the old flavour with artistic walls and decors have been retained and well maintained. The hotel itself thus is a place to visit. Heavenly bed! And for once the pillows were not "without substance"! 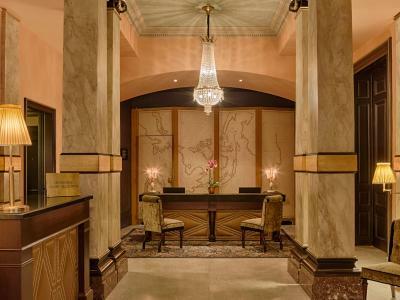 Hotel of a true luxury classic style. Perfect services. 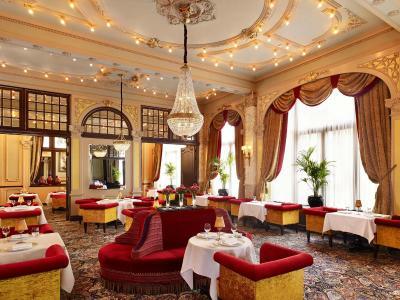 It is very rare nowadays to find such a classy and absolutely beautiful hotel (even in the 5 star hotel range). Probably in my top 5 prefered hotels of the world (and I am traveling a lot)! 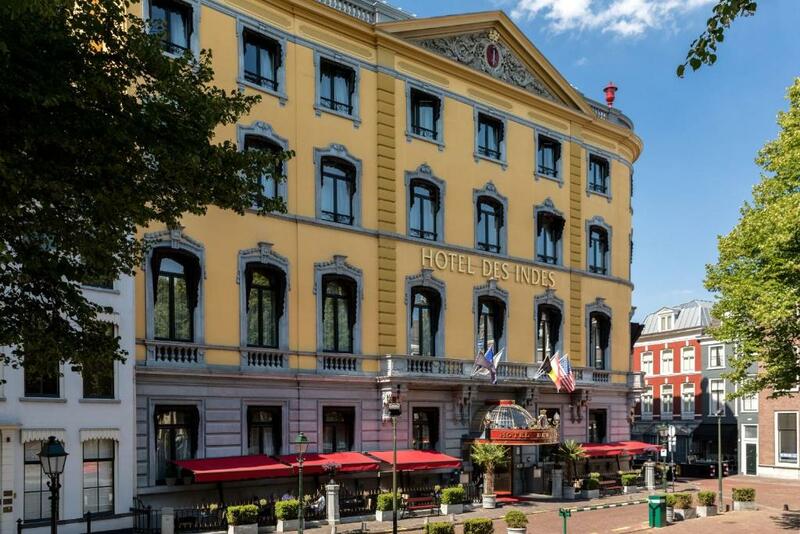 Hotel Des Indes The Hague This rating is a reflection of how the property compares to the industry standard when it comes to price, facilities and services available. It's based on a self-evaluation by the property. Use this rating to help choose your stay! 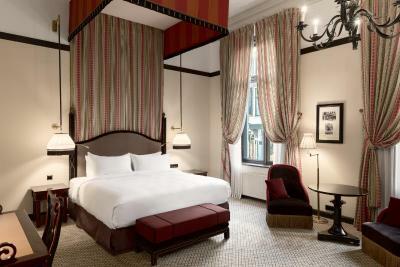 One of our top picks in The Hague.Hotel Des Indes is a luxurious 5-star hotel on the Lange Voorhout in the city center of The Hague. There is an exclusive Health Club with a swimming pool. 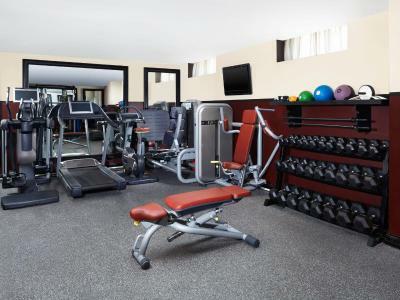 In addition, the property offers complimentary WiFi access. The hotel rooms are elegant in style and have a seating area and a satellite TV. 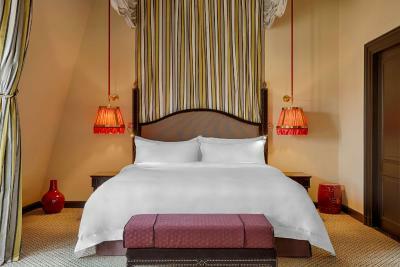 The large beds with soft white duvets offer a comfortable setting for your night's rest. 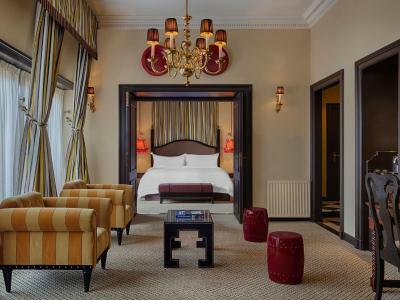 Hotel Des Indes was designed by the famous architect Jacques Garcia. There is also a lounge, restaurant and meeting facilities. 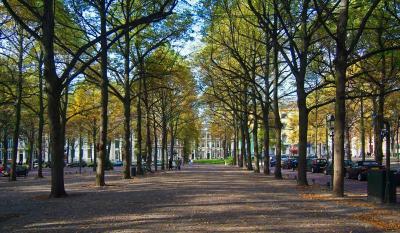 The Hague City Center is a great choice for travelers interested in museums, shopping and culture. When would you like to stay at Hotel Des Indes The Hague? This elegant room features a flat-screen TV, minibar, iPod docking station and desk. 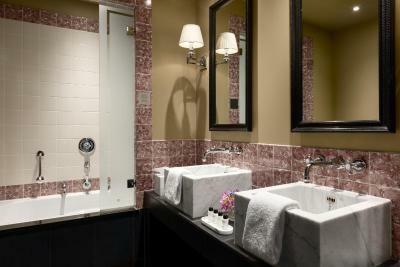 The luxury bathroom has a shower and or bath and marble sink. Maximum capacity of total guests is 2 including children. Please note that this room does not accommodate extra beds or cribs. Private parking is available on site (reservation is not possible) and costs EUR 7 per hour. This spacious room with modern décor features a sitting area with flat-screen TV, a minibar, an iPod docking station and a desk. Most of these rooms have a bathtub and a shower. Please note that this room can accommodate 1 extra crib or extra bed. You can request this by using the Special Request box when making your reservation. 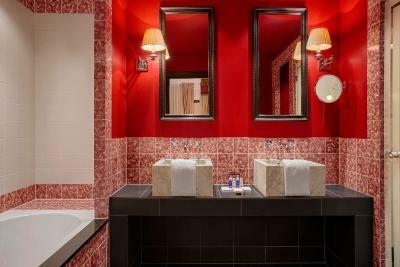 This single room features a iPod dock, bathrobe and mini-bar. Please note that this room does not accommodate extra beds or baby cots. This double room has air conditioning, bathrobe and iPod dock. 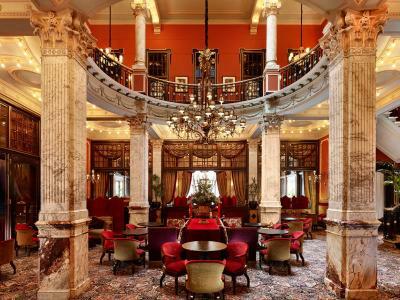 Built in 1858 as a city palace and a hotel since 1881, Hotel Des Indes pays tribute to the rich history of The Hague. 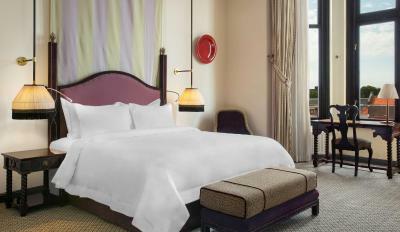 Completely renovated by interior designer Jacques Garcia in 2006, the 92 guest rooms and suites blend contemporary amenities with traditional architectural statements. Hotel surroundings – This neighborhood is a great choice for travelers interested in museums, shopping and culture – Check location Excellent location – show map Guests loved walking around the neighborhood! 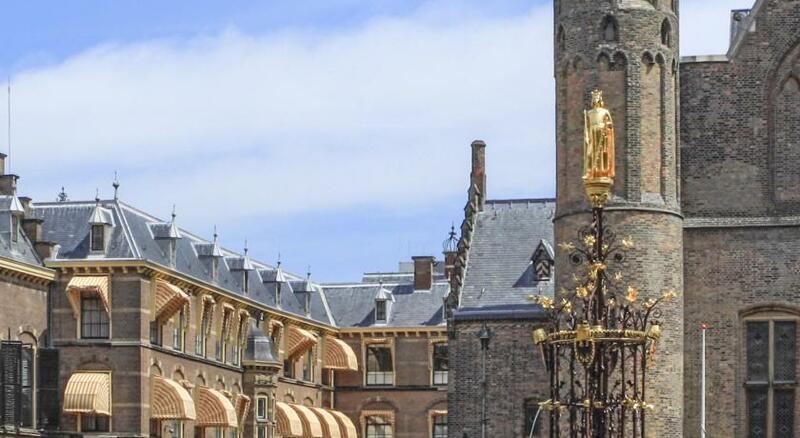 House Rules Hotel Des Indes The Hague takes special requests – add in the next step! ATM card Hotel Des Indes The Hague accepts these cards and reserves the right to temporarily hold an amount prior to arrival. 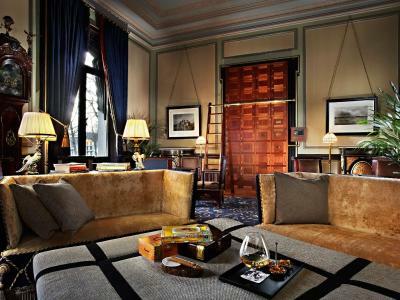 Hotel Des Indes The Hague accepts these cards and reserves the right to temporarily hold an amount prior to arrival. 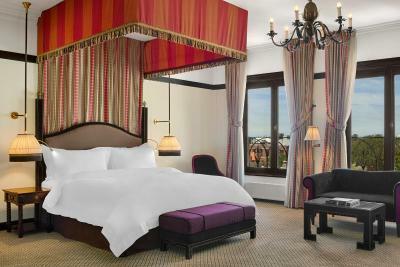 Please note that extra beds are only available in Executive rooms and in Suites. 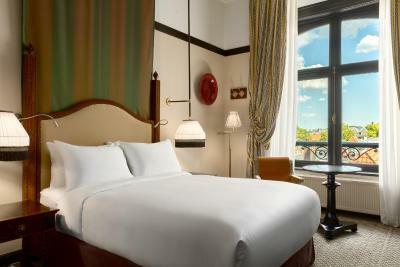 Classic and Superior rooms cannot accommodate extra beds. Please note that when booking 7 or more rooms, the hotel can have different policies. Please note that the on-site parking fee is EUR 7 per hour and EUR 40 per day. Parking spaces are limited and the accommodations cannot guarantee a space. Self-parking is not available and if no parking spaces are available, the hotel porters will advise for the two nearest public parking garages. Parking garage Het Plein is opened 24 hours a day and 3-minutes away from the hotel. Hourly parking rates apply. Parking garage Museumkwartier is also opened 24 hours a day and 2-minutes away from the hotel. Hourly parking rates apply. Reservation is required for 24 hours parking. For more information, please contact the hotel. Our room backed onto a back corridor where garbage trucks and people would gather at 3 in the morning. Both nights we were awakened by loud voices of people gathering there. I felt having booked an executive double that we would receive a city view and expected sound sleep. The service in the lounge was terrible. 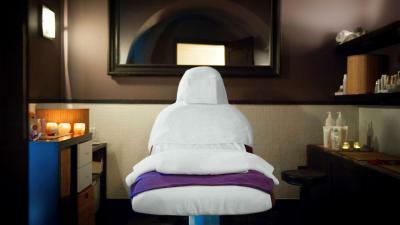 I loved the room, the cleaning staff, & turn down service were all great. The steam bath did not function on one morning. Not sure if it was on purpose (it was on a sunday) or just some defect. 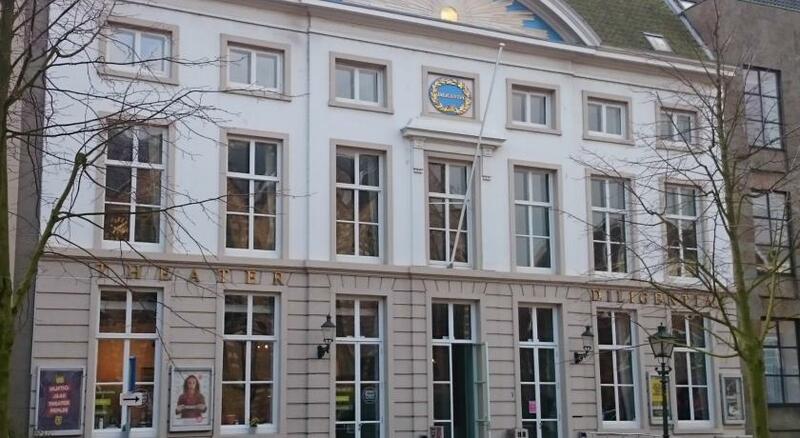 Very beautiful hotel in the centre of The Hague. We stayed there for a weekend and enjoyed it a lot. Our room was a big one with a very comfortable bed. The breakfast was very delicious. We enjoyed the sauna in the morning, very relaxing. Right next to the hotel there is Escher museum which is a must. All in all, a very relaxing weekend. Excellent service. Great location. Recommended! This hotel is exquisite . I had read one or two bad reviews and I don’t understand why they wrote them . This hotel is superior in every way ! Limited menu and small meals. Love this hotel, our fourth stay. So much character and charming staff. bathroom not real clean--spots on faucet, shower door had lots of smear marks, dust on the walls, mirrors had smear marks, windows very dusty, even the in-room coffee cups had lint and crusty sugar at the bottom of one of them. 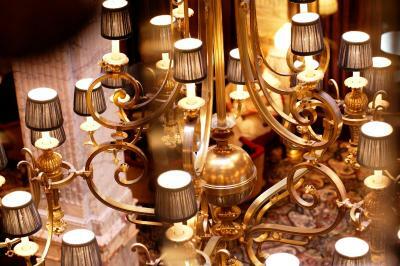 Luxury, famous hotel with friendly and helpful staff. I came to this hotel after a long and sweaty bike ride. All I wanted was to check in quickly and have a shower ASAP. The check in process took more than 25 minutes. I never had to wait so long, even at cheap hotels. This is totally unacceptable. I had booked with bookings and already paid with Visa. So there was no need to wait so long. I got a complimentary drink but no upgrade for this half hour waiting. The room was a bit smelly. And definitely smaller than the 21 meters it should be. There was no comfortable chair as in the picture on booking so this is misleading. Checking out was also problematic, as I was asked to pay the full price…. With staff initially failing to understanding that the main amount was already paid with the credit card. When I brought up the half hour wait during check in the response was “did you get a complimentary free drink?”. This infuriated me as my time is worth more than a free beer. The person checking me in even had a problem understanding the difference between surname and first name, he mixed them up. Which resulted in confusing moments during breakfast and lost time signing up to the wifi. Where the customer has to enter room number and surname. The wifi connection was solved by entering the initials of my first name…. So. Check in and out was a disaster, the room was not up to expectations. Some of the other staff however is trying hard to please you and the building is great. So it is not all bad. But it was definitely not my dream. It was not a five star experience. Luckily most visitors have better experiences. Many of the reviews are positive for this hotel. So most likely you will enjoy your stay. The beds are good, and the location is excellent. 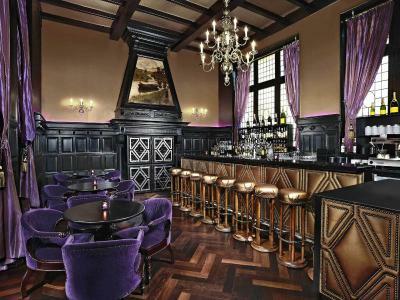 It has more charm than most other hotels in the Hague. 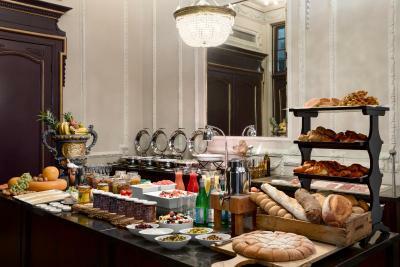 The breakfast is good, though it will not surprise you. The entrance and dining area however are spectacular. I really looked forward to staying in this hotel one day. It is iconic. As a young boy I looked up at the cars and elegant visitors of this hotel. I hoped I would stay here someday. Now I stay in luxury hotels. I love writing positive reviews about good hotels spreading my fascination for them. Finally I stayed in this hotel. Besides the positive aspects the quality of this hotel is slipping. It was not entirely the dream I hoped for. There were some unfortunate experiences that I feel the need to share.